For more than 38 years I have lived in the beautiful town of Fergus. Drawing and painting in different medium was a natural extension of my earlier career as a mechanical draftsman. My artistic talent has continued to grow through practice and participation in workshops with accomplished Australian and Canadian artists. I have also completed a number of Fine Art courses in drawing and painting at the University of Guelph. Exhibiting art -January to mid April 2016 in the Centre Wellington Council Chambers under the program "Art In Public Places". Visit the website by clicking on Elora Arts Council for more information. I have won awards in juried art shows in Australia, Guelph, and Elora and. Having a successful solo shows in Australia 2005 in Merimbula, NSW, Groves Hospital, Fergus, Ontario in 2008 and in 2012 in Forster, NSW Australia. During my one year stay in Australia I belonged to GLAS an art group in the Forster and Tuncurry, NSW area. Their art exhibition "Eye On The Arts" pamphlet highlights my painting "Marine Rescue" which helped with their fundraising for the arts . 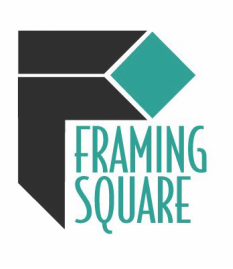 Their website http://www.glas.org.au/ has information regarding Framing Square. "Expressions in Colour" with ten artists from the "Monday Night Painters Group". 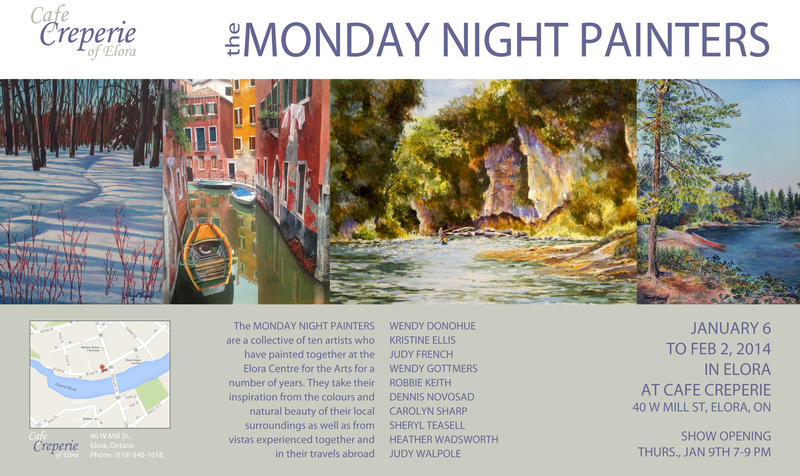 See www.mondaynightpainters.ca for further information or visit my "Events Section" I will be showing a number of my art pieces at the show. My art will be exhibited at the 48th annual Dundas Valley School of Arts Auction held on Saturday, April 7, 2018. Visit www.dsva.ca for more information. I took part in the annual Artcetera Auction (2013) in Elora. Visit their website for details. 2012 - Ronald McDonald House Charities of Australia received 10% of my sales in Forster,NSW. Click on the link to view and download the invitation. November 2012, Solo exhibition in Forster, NSW, Australia. September 2012, Australia, NSW - Great Lakes Membership Exhibition, received "Peoples Choice" for watercolour "Two by Two". September 2012, Australia, NSW - Tea Gardens Hermitage Art Awards, received "Highly Commended" for charcoal drawing "My Friend". July 2012-Australia,NSW 36th Taree Open Art Exhibition received 2nd prize for my charcoal drawing "My Friend"
May-June 10, 2012-Australia,NSW The Manning Regional Art Gallery in Taree, NSW, juried Wildcard Exhibition accepted "Not for Sale" to be in their exhibition. March 31, 2012 Australia,NSW-Great Lakes Juried Art Show received Jean Dixon Memorial 2nd prize Award for my watercolour "New Beginning". March 2012 Australia,NSW 100th Nabiac Show received 1st prize for my watercolour "Cocky". How I approach my painting is well described in the article "Still Finding His Focus" written by Matt Harris from the Fergus-Elora News Express and published in the Spring 2010 Sideroads of Waterloo Wellington Magazine.